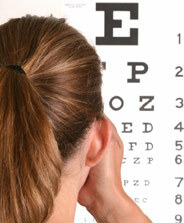 Regular eye examinations are extremely important in order to maintain the health of your eyes. You only have one set of eyes so looking after them is imperative. Attending your local optician for regular examinations not only means keeping your prescription up to date (if you wear contact lenses or glasses), but also means that certain eye conditions such as glaucoma and cataracts which can case visual loss can be detected at an early stage. Cataracts are on of the commonest causes of loss of vision. In the west, they rarely develop to cause very advanced visual loss, since they are normally operated upon relatively early. In some developing countries, cataracts main the commonest cause of preventable blindness. Glaucoma is an insiduous disease which normally has no symptoms untill it is very advanced. The peripheral vision can be lost as a result of damage cased to the optic nerve by glaucoma.